the surface. 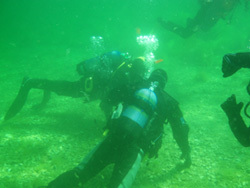 During the course you will learn to dive in a safe way with an experienced instructor. All our instructors are active divers who dive at home in our water as well as elsewhere in the world, thus they may help you further in the wonderful world of diving. We start the course with knowledge development and exercises in the pool, so you get a proper foundation before it is time for open water. We then do four dives in the ocean where you can experience our amazing underwater world. You must also show your theoretical knowledge in a written exam which we do in the middle of the course. 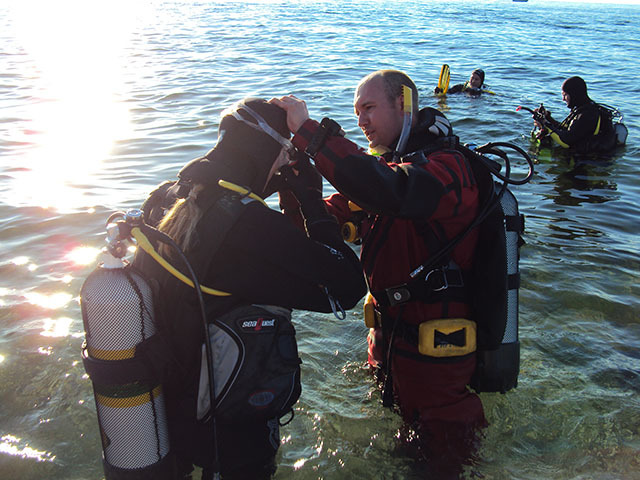 After you have completed the course you will receive a PADI Open Water Diver certification. With this certificate, you can go diving, take the advanced open water diver courses and rent equipment worldwide. With us you also get extra time underwater which we believe will make you a safer divers. At least 15 years old and be able to swim 200 meters. In order to start this course you must be 10 years old or older. However, we believe that one should wait until the age of 12 to start this course since children are usually not mature to start diving until this age.